It’s called The One Great Story because it’s about the most substantial things in your life: your passion, your career, your money, your self-promotion, your time, your happiness. There’s always been a longing to gather the important things in one place. Some of the appeal of a Bible or the collected works of a big name author is the sense that amidst all the chaos and disparate sources of knowledge, someone has taken the trouble to distill, to compress, to say what is essential. In a world overflowing with information, what we most need is curation. The One Great Story aims to be the curation of the best and most helpful ideas in the area of the creative life and career. Ultimately, life is only 700,000 hours long so we have to make sure the ideas we need don’t get lost – or take too long to find. 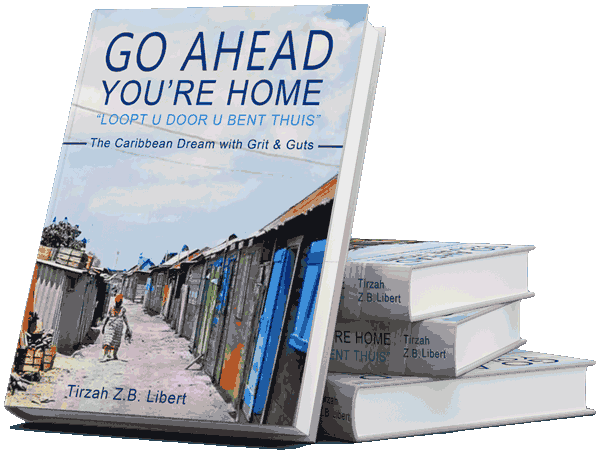 Go Ahead, You’re Home A true and poignant story of forgiveness, hope and love by a single, fulltime working mother, who dares to take on the challenge to accomplish “The Caribbean Dream with Grit & Guts.” Coming from humble beginnings, marked by economic highs and lows, youthful lust, drug abuse, infidelity, divorce and immigration, I trust you will be inspired, intrigued and captivated. Give yourself time, then Go Ahead? Live and lead by example. However, whatever, whenever, Go Ahead, keep reading. Go Ahead! "Run like hell." Imposter changes the course of history. Follow me at Erin at Health Nut News for more stories like this. Incredibly Brilliant! Wake up, hustle and Go Ahead! Love love love this. South African Repurpose Schoolbags provides so many kids a brighter future by turning old plastic bags into schoolbags with solar lamps.